Bottom line: This was an excellent experience and I will return on a monthly basis. I saw Tracy to help treat some shoulder issues. As an athlete, I was hesitant to spend the money on massage as a regular tool to help in recovery. After this visit, my mind is changed completely. Tracy helped alleviate many of my symptoms and was deeply knowledgeable about her profession. I walked away wondering why I had not come sooner. I look forward to the next visit. 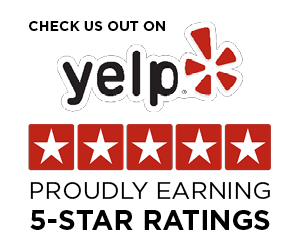 — Yelp Reviewer: Justin D.
For years we've provided quality massage therapy to the Monterey area and beyond. We take great pride in providing excellent service to each of our clients and are glad to know they feel the same. Most of our clients are repeat customers and we are grateful for the hundreds of verified reviews following the service received at Peak Performance Massage. I practically have a PhD in receiving massages. I have been very athletic for the majority of my fifty odd years and I have been in several accidents that have left my body incredibly sore. My hobby is receiving body work. I've had many great masseurs, but none that have kept me coming back every week; until Cedric. His highly intuitive style is genius for his young age. I almost don't want to tell anyone, (although I have) because I want to keep him all to myself! - Genbook Reviewer: Dawn D.